These days, those who RV, choose to do so in comfort. 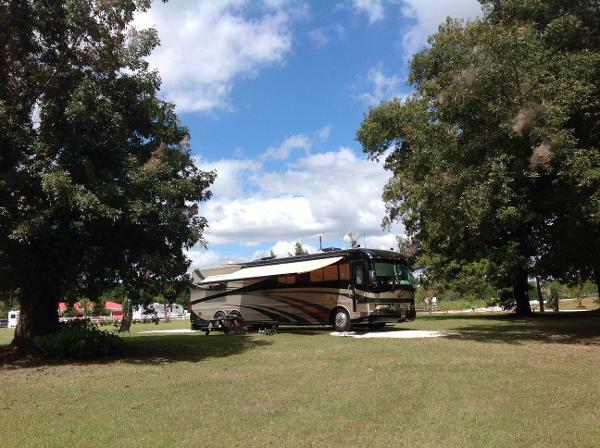 Our family owned and operated RV Park/Campground is nestled within 200 acres of the most beautiful Old Country Scenery that Georgia has to offer. The full hook-up sites are set up in a parade ground fashion, with a common area in the center. 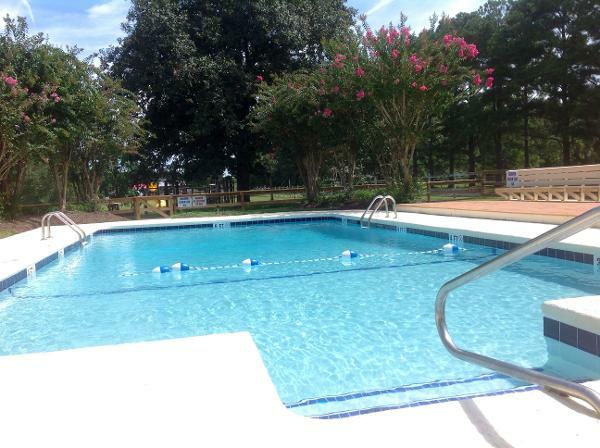 Many sites are satellite friendly, some offer afternoon shade. The sites themselves offer only a small taste of what the beautiful grounds have to offer. 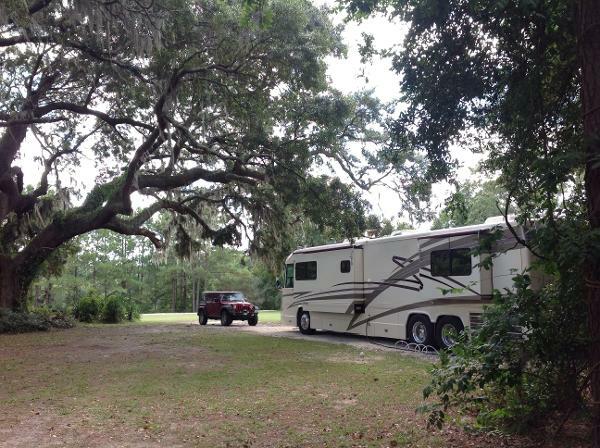 We encourage you to step out of your RV; sit and watch the horses graze, the baby peacocks play, walk some of our trails, relax on one of the swings overlooking our lakes, try to catch the big one from Martin's Pier or cool off in our swimming pool. 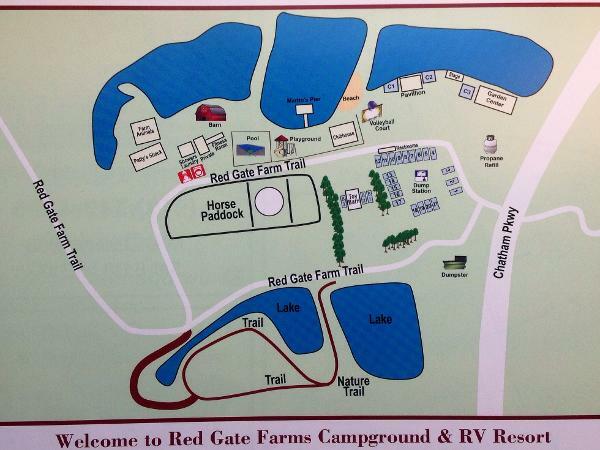 Red Gate Farms offers a variety of site options and can accommodate the largest of RVs comfortably.